Welcome to Boroondara District Girl Guides! Girl Guides is all about making new friends, trying new things, and having heaps of fun! Girl Guides helps girls to develop leadership, teamwork, and life skills in a fun and supportive environment. There are units all across Boroondara, with groups for girls aged from 5 through to 17. 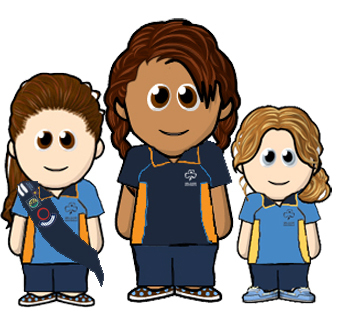 Boroondara Girl Guides has units in Ashburton, Camberwell, Canterbury, Balwyn, and Kew. Groups meet on different nights of the week, so there's sure to be one that suits! Click on the tabs above to check out the days and times for different units. We look forward to welcoming you to Boroondara Guides soon! If you're interested in finding out about Girl Guide units outside of Boroondara, please go to the Girl Guides Victoria website and click on 'join us' for information about units across Victoria.